Rowling’s latest comments have raised eyebrows about the lack of LGBTQ representation in her films and books. Your letter has finally arrived. You could be the next young Dumbledore. Maybe you'll get a wombat ... or a mongrel dog! Before Snape, there was another Potions master. Something wicked(ly awesome) this way comes. The Ilvermorny houses -- Thunderbird, Wampus, Serpent and Pukwudgie -- are taken from a mashup of North American indigenous folklore. We can't figure out if Rupert Grint is happy about this or not. Harry Potter and The Magical Drink List -- What Your Favorite Character Drinks! The Wizarding World of Harry Potter™ at Universal Studios Hollywood opened last week and we couldn't be more excited. Yes, we're geeked-out Harry Potter fans here at FoodieandWine.com. 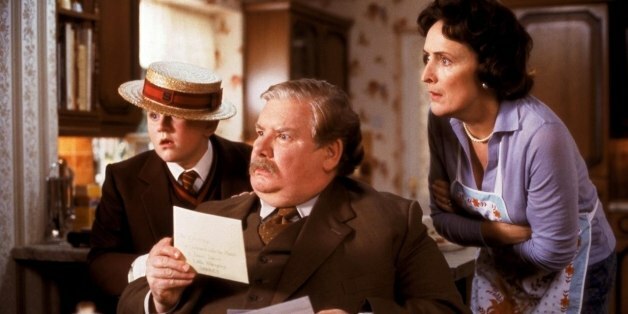 Now we know where Harry's dad got that invisibility cloak.